Add your URL to " Inti Raymi 2002 "
Thanks to Emeric Durand for sending in these pictures. 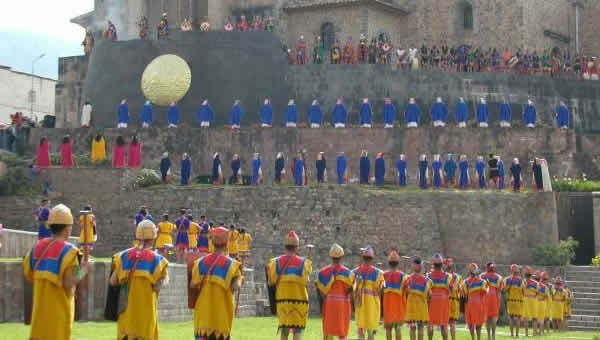 For an explanation and background of the Inti Raymi, we advice to go the documentary of the Inti Raymi . 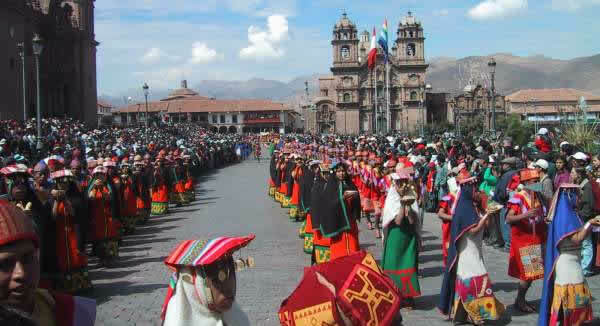 The 'Day of Cusco' Stays more or less the same year after year as we will see in these wonderfull pictures. At this wonderful spot starts the Inti Raymi early in the morning. The place is known as the Qorikancha or the Santa Domingo. This was the centre of the Inca Empire untill 500 years ago. The procession with more than 500 performers moves from the Qorikancha to Sacsayhuamán. 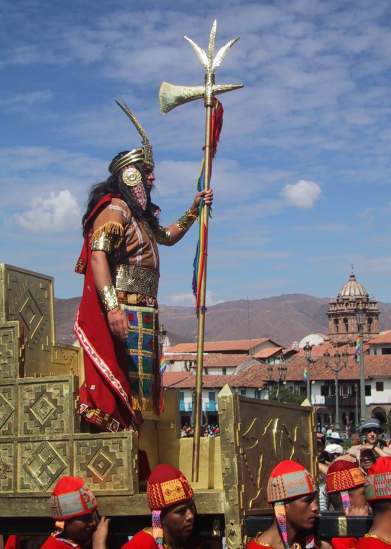 The Sapa Inca in his golden chair as the highest authority from the Inti Raymi. Asolutely beautiful. I will be travelling to Peru in July, are there anymore festivals on in that month?